Alpine Carpet One Floor & Home in South Lake Tahoe is an authorized Hunter Douglas dealer. Alpine Carpet One Floor & Home in South Lake Tahoe is more than just your local flooring store. In addition to floor covering options, we also offer home accessories to give your home that finishing touch. 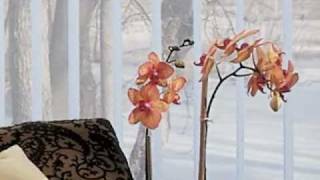 Window treatments have multiple functions in your home including décor as well as helping with energy costs. We are your local certified Hunter Douglas window treatment retailer. Hunter Douglas focuses on style combined with performance throughout its entire collection. 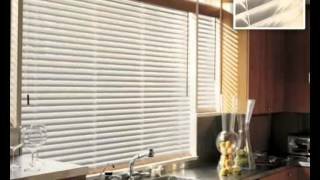 Hunter Douglas offers a full line of blinds ranging from wood blinds, faux wood blinds, and vertical blinds. 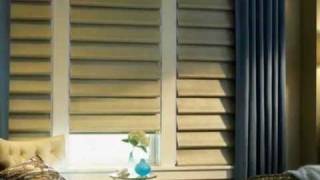 Blinds offer great light control with adjustable slats, so you can choose how much sunlight you let into your room. Hunter Douglas honeycomb shades have a unique design featuring three dimensional, honeycomb-like structures. Honeycomb shades trap air and regulate temperature in a room, resulting in keeping rooms warn during winter and cool during summer. Sheers stylishly soften and diffuse natural light coming into a room. Like stained glass, a layer of sheer fabric converts light into a brilliant warm glow while softly filtering out brightness, glare and harmful ultraviolet rays.